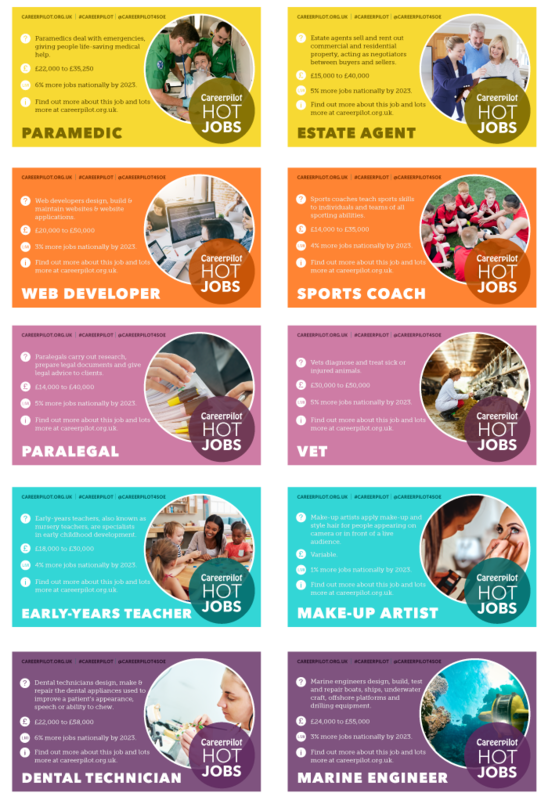 Thank you for your interest in receiving our termly Hot Jobs graphics. pre-written text and social media posts, complete with hyperlinks to further information. These have been designed to help schools and colleges inform parents about careers and job growth areas, and to meet the Gatsby 2 benchmark 'learning from career and labour market information'. Complete your details below to be added to our mailing list and receive your first pack.